During the summers of 2005-2013, we had run the China Summer Program (formerly Shanghai Summer Program) successfully for nine seasons. The China Summer Program (CSP) operates sequentially from two locations - Tianjin in the north, and Shanghai in the south. By residing in two cities, CSP participants will gain deep cultural immersion experiences in two different regions of China with distinct customs, dialects, and foods. Tianjin is 30 minutes by train from Beijing, thus students will have easy access to the historical sites of Beijing, as well as the 2008 Olympic venues. Shanghai is the proud host of the 2010 World Expo. CSP is a Georgia Tech faculty-led undergraduate study abroad program, co-sponsored by the Office of International Education and the Georgia Tech - Shanghai Initiative. This program is in partnership with Tianjin University (TJU) andShanghai Jiaotong University (SJTU). CSP is open to students from all U.S. colleges and universities. Non-Georgia Tech students can join the CSP as transient students, earn Georgia Tech credits and then transfer courses back to their home institution. CSP does not charge the regular non-resident tuition; thus out-of-state students can expect to save thousands of dollars by studying on the CSP. 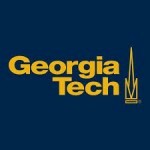 Georgia Tech faculty will teach seven courses in science, engineering, humanities and social science on the program. Non-credit Chinese language courses are offered and are free of charge to those who are committed to a perfect attendance record in those courses. See details here. Non-credit Chinese cultural courses on the program include Chinese Martial Arts and Tai Chi. CSP students are encouraged to apply for Coca-Cola Foundation Scholarships for Study in China, as well as Freeman Awards for Study in Asia.